Our lives have changed drastically over the last decade with the digitization. Besides the long hours at cubicles, most of us started spending at least two hours daily on the social media platforms. By the end of this year, even the number of internet users in India will cross the 530 Million mark and that includes both urban and rural. Most of the businesses are eager to enter the digital platforms which has increased the demand for digital marketing. This is one of the unique ways of marketing where a seller can meet the buyer through the digital tools. The rationale for the digital marketing is simple that it is the best way to build the strong consumer base with minimal cost. The advantage in choosing the digital marketing is the great value for the money besides reaching the customers in minutes. Marketing done online includes online features, blogs, social media promotion, endorsements, ads, etc. All the types of digital marketing sounds amaze and one has to choose which type of marketing is the best way to reach their consumer base. There are nine different types of digital marketing. 1. Search Engine Optimization (SEO): It is well-known to most of us and we popularly call it as SEO. This gains the traffic through the search engines such as Google. A seller needs to be on top of the list above their rivals in the search list. 2. Pay Per Click Advertising (PPC): This is almost same like SEO. It is like an advertising and involves money. It also includes search engine ads, advertising on other websites, ads on social media platforms, etc. 3. Public Relations (PR): Though it is not a core type of digital marketing, the PR can create the buzz online, which will in turn provide promotion. 4. Social Media Marketing: It involves with creating and/or retaining a strong customer base through social media platforms such as Facebook, Snapchat, Pinterest, Twitter, etc. A buyer can share everything on these platforms that includes deals, discounts, etc. 5. Content Marketing: The content is the king in digital marketing and bring good traffic for a seller. Attractive content should be generated to land the customers on the websites. 6. Affiliate Marketing: This also looks like PPC but the marketing will be done by others. This also involves with money and most of the affiliates can be bloggers. 7. Viral Marketing: This type of marketing create buzz on social media and other platforms about the products and/or website. It involves combining of the SEO, PR, social media marketing, content marketing and affiliate marketing. 8. Influencer Marketing: This involves with hiring a celebrity who bring the market with a huge following. 9. Online/ Website Marketing: This involves with all the types of marketing mentioned above. 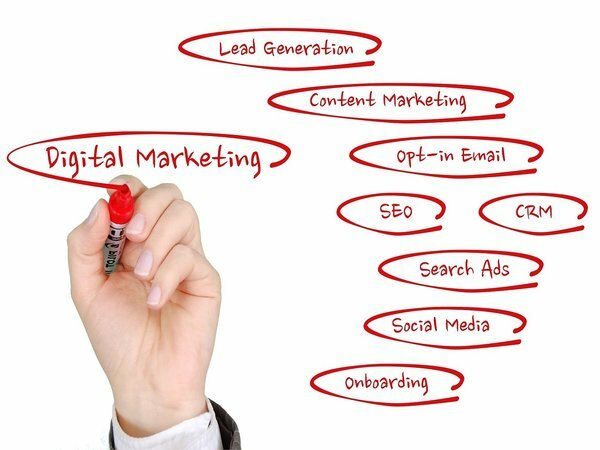 How To Pursue Digital Marketing? Be it from science, arts or technical field, one can start pursuing career in digital marketing. After their graduation, one can take up diploma or certificate course in the digital marketing institutes spread across the country. A few institutes even offer MBA and executive certified program in digital marketing. The courses are also available for the candidates who possess pass certificate in class 12. However, the prerequisites vary depending upon the specialisation. The market is active and continues to be for the candidates who possess certificate in digital marketing. Here are some of the top digital marketing positions. Search Engine Optimization (SEO) Manager: One who is responsible for building traffic to the company through search engines such as Google, Yahoo and Bing. The responsibilities of the search engine marketing (SEM) and par per click (PPC) advertising are also on the SEO. Social Media Manager: He/she will be responsible for promoting a brand's presence on social media through platforms such as Facebook and Snapchat. Digital Marketing Manager: One who take up this position have to develop comprehensive marketing strategies such as online advertising, social media, email marketing, mobile marketing, etc. Marketing Assistant: This is an assistant position to the marketing managers that includes tasks such as writing up reports and arranging events. Marketing Analyst: This position involves with the usage of analytics tools to track both success and failure. They have to assist the marketing team based on the analytics' result for better promotion. Content Manager: As we said above, the content is the most important one to bring the customers. They need to take care of all the content for promotion that includes social media and feature stories.